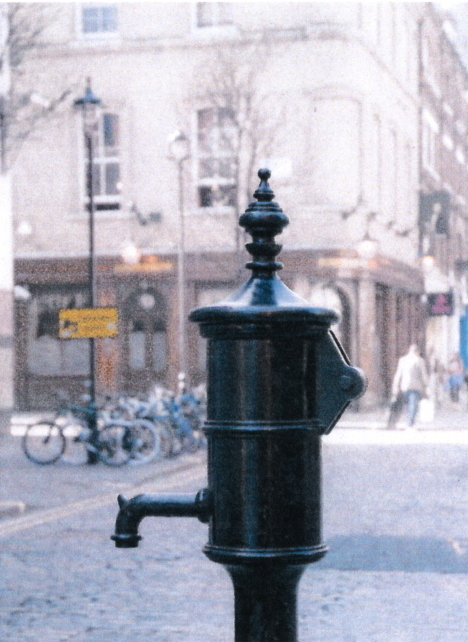 Replica of the water pump Dr John Snow identified as the source of an outbreak of cholera in 1854. Photograph: Helen Rogers. This spring Westminster Libraries are hosting, as part of a health initiative, a series of walks around Westminster. On 16 April 2012 Judy Stephenson, a City of Westminster guide, will lead a walk through Soho to Covent Garden and discover the area’s colourful but chequered past. Lewdly Louche — a languorous lope of libido and illegitimacy; libertines and licentiousness. Meet outside Charing Cross Library, 4 Charing Cross Road, London WC2H 0HF at 1.30pm, 16 April 2012. Price £5.00. Concessions £4.00. More events at Charing Cross Library. This entry was posted in Culture and tagged Covent Garden, Health, History, London, Soho, walking, Westminster. Bookmark the permalink.